Friends!! Happy Wednesday! 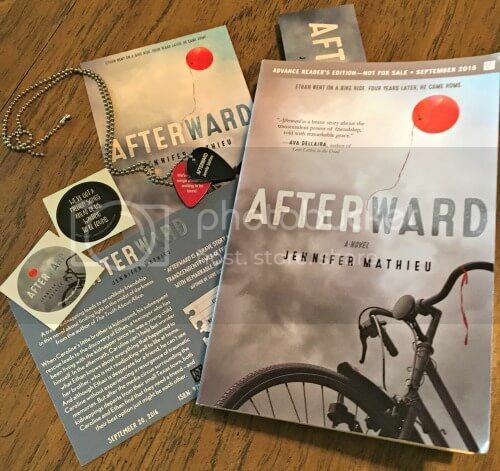 Today the wonderful Jennifer Mathieu is sponsoring a great giveaway of her upcoming novel, Afterward, along with some cool swag! Jennifer Mathieu started writing stories when she was in kindergarten and now teaches English to middle and high school students. She won the Teen Choice Debut Author Award at the Children’s Choice Book Awards for her first novel, The Truth About Alice. She is also the author of Devoted and Afterward. She lives in Texas with her husband, son, dog, and two cats. Read about her books on her website!